It’s no secret that pumpkin is in. From pumpkin spice lattes to pumpkin flavored cookies, everywhere I turn, I’m seeing orange; and for me that isn’t a bad thing! I’m a huge fan of everything pumpkin, especially pumpkin beauty products. I love finding natural pumpkin scented soaps, lotions, and other goodies to make my bathroom smell like fall. However, I’ve been paying particular attention to the labels when it comes to pumpkin products. You see, it’s really hard to achieve that “pumpkin pie” smell naturally. Pumpkin in its self doesn’t really smell like much. It’s the spices that make us think of pumpkin pie. That’s why I wanted to make a natural DIY lip scrub without any fragrance. 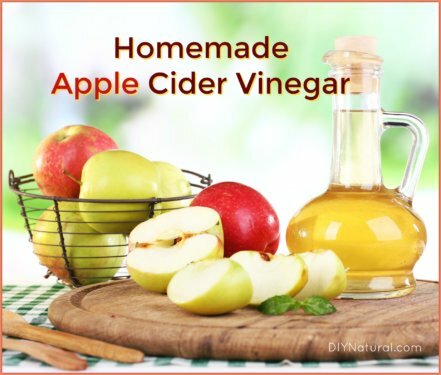 There are many different ways to scent homemade beauty products including essential oils, fruit rinds/juice, spices, and other items from your kitchen. This recipe focuses on spices. In particular, I chose to use pumpkin pie spice to get as close as I could to the scent. Learn how to make your own pumpkin pie spice or pick some up at your local supermarket. Make sure to choose quality (organic if possible) spices as you will be using this recipe on your lips. You always want to have the best quality spices possible as the flavor is much better! This recipe also features coconut oil. I always choose an unrefined, extra virgin, organic coconut oil (like this one) because it gives me the best results. Don’t worry if yours has that “coconut” smell. The spices in this recipe will quickly overpower it. Additionally, you can substitute brown sugar for the cane sugar in this recipe for some extra richness. The molasses in the brown sugar will work as an extra conditioner for skin, and it tastes wonderful! Cane sugar exfoliates, softens, and even helps to restore skin’s oil balance. Coconut oil is a wonderful conditioner and is packed with Vitamin E. It also has many good fats that help even skin tone and keep lips smooth and silky. Made of cinnamon, nutmeg, ginger, allspice and cloves, pumpkin pie spice smells wonderful. 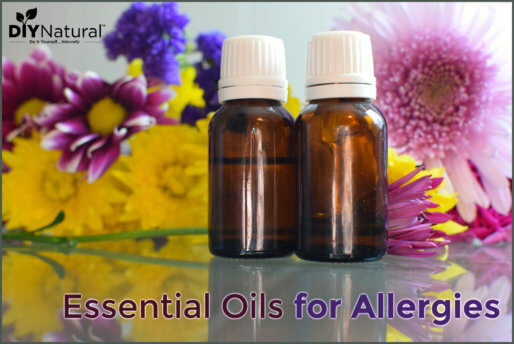 These spices will spur blood flow to the lips, thus helping skin to regenerate quickly. This recipe makes 3 lip balm tins for me, but you can use a larger repurposed jar as well. In a small glass bowl, melt coconut oil in the microwave until it is liquid. Add in brown sugar and stir well. Add in pumpkin pie spice and stir well. If scrub appears too “dry” add another ½ teaspoon of melted coconut oil and stir. Pour into a small lip balm tin and let cool (the scrub will harden as it cools). When I make this recipe, I normally double it so that I have extra homemade lip scrub to give to friends and family. These are fun to give and are always received with delight. The scrub will last anywhere from 2-3 months depending on the expiration date of your oils. Just remember to keep the scrub in a room under 76°F, as coconut oil melts in temperatures above 76°. 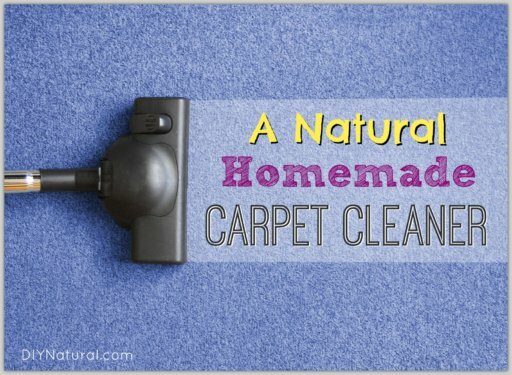 The scrub will work the same, but it will be much softer. If yours happens to melt, simply stir and place in the refrigerator for 10-20 minutes. Like this recipe? Try this Pumpkin Pie Body Scrub recipe for more pumpkin pampering! This sounds heavenly. 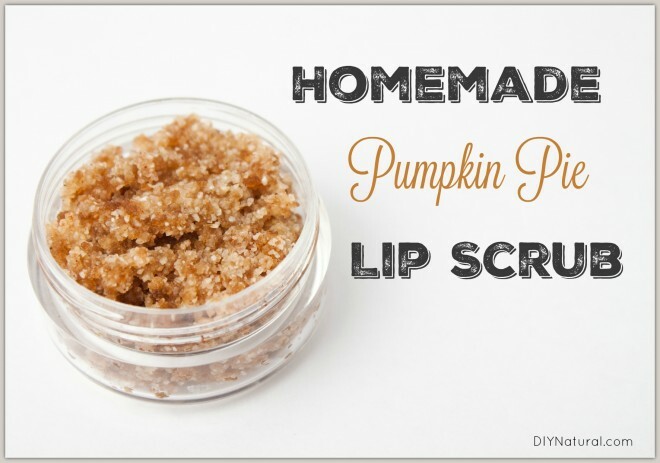 I have a recipe for a lip scrub that uses honey, but this recipe is perfect for fall. They’re so hard not to lick right off, haha.